Magazines and newspapers are easy. These can simply be stapled, attached with fasteners, or sewn into a single signature using a kettle stitch. 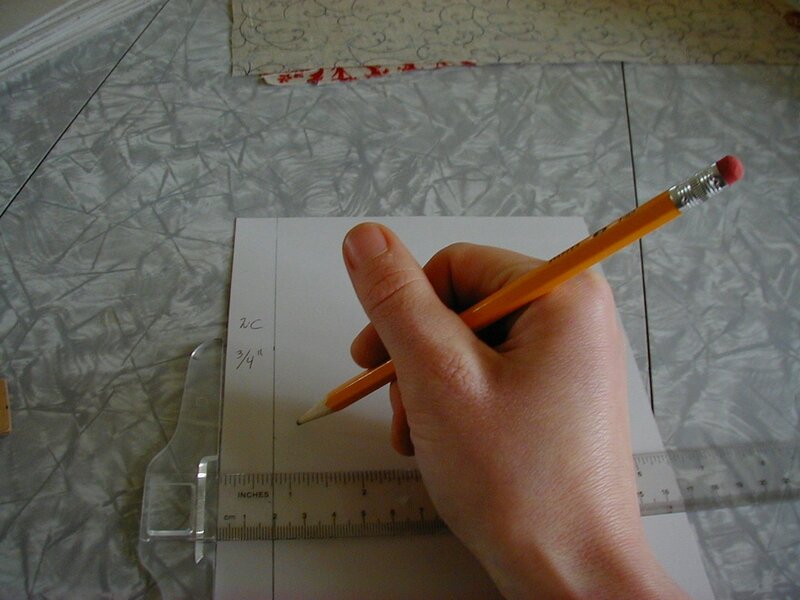 Note: These instructions first appeared as a series of blog posts on this website back in 2012. I've put them all onto a single page to aid in usability. 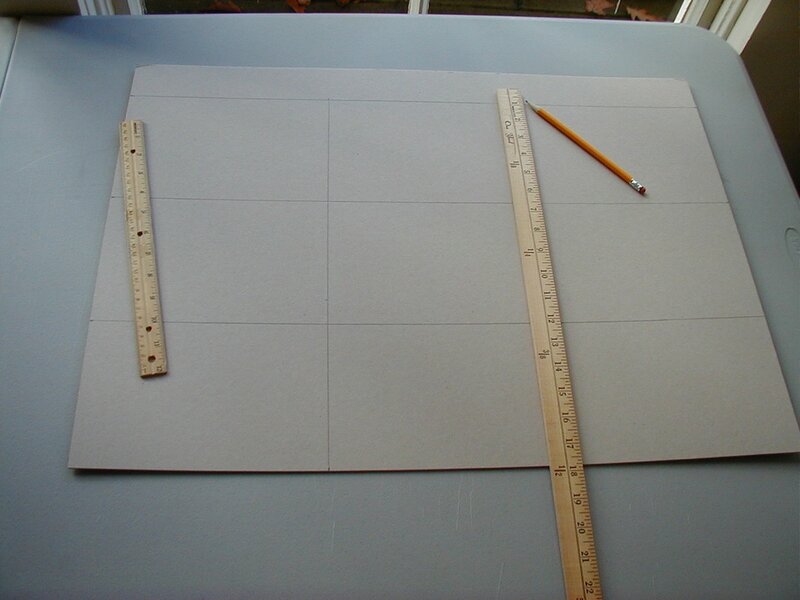 For sources of fabric and bookbinding supplies, see our Resource Links page. Run the pdf file through the imposition software. Sew the signatures together, using a combination of something not far off from an embroidery stitch, and a variety of knots I otherwise hadn't seen since getting my knot-tying merit badge in Camp Fire in fifth grade. (This is technically called a “kettle stitch,” and instructions for it may be found on other websites through a quick Google search.) Curse at the thread which keeps wanting to tangle. Curse at the signatures which don't want to stay together. 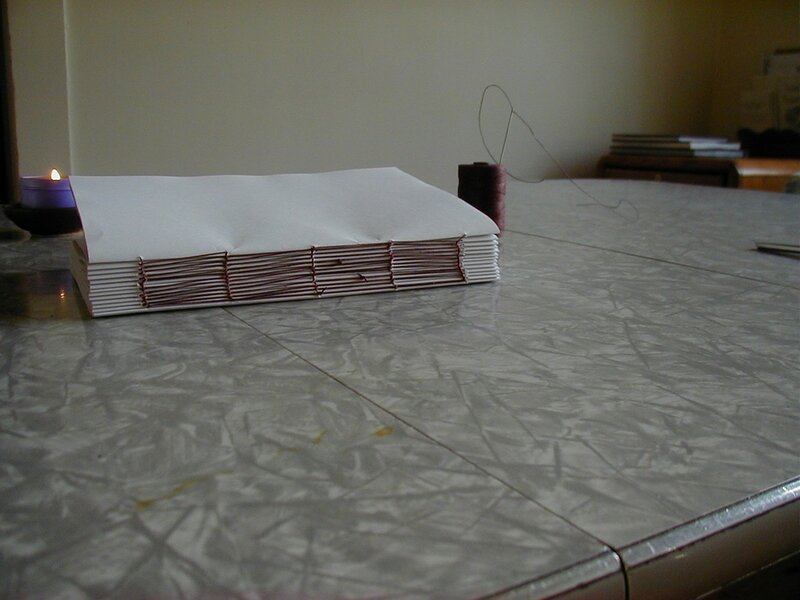 Finish sewing the signatures together. 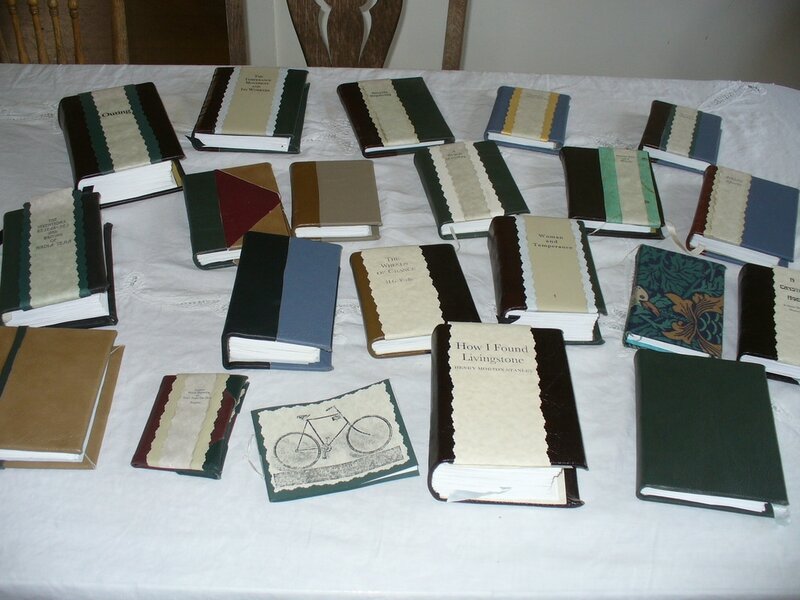 ​The CaseFor cloth-bound books: Search out sturdiest and most visually appealing fabric options. 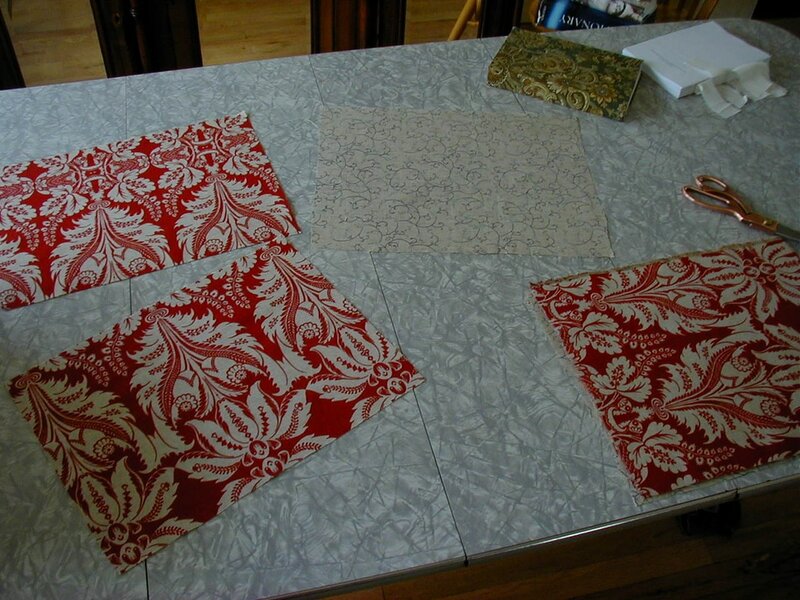 I’m currently quite fond of a supplier called William Booth Draper, who make their fabric to match traditional ones from the eighteenth and nineteenth centuries. http://www.wmboothdraper.com/ For other fabric sources (and sources of other bookbinding supplies, like bone folders and bookbinding thread) see our Resource Links page. For leather-bound books: Go to a leather supplier and hunt out pieces of leather thin enough, but with enough square area, to cover books. (Garment leather is ideal.) Get covered in leather dust while digging through the swimming-pool sized bin at the leather supply warehouse. Briefly wonder why anyone would ever think goatskin dyed to look like zebra was anything short of incredibly tacky. Hunt through available leather options some more. Buy leather. Procure coverboard. 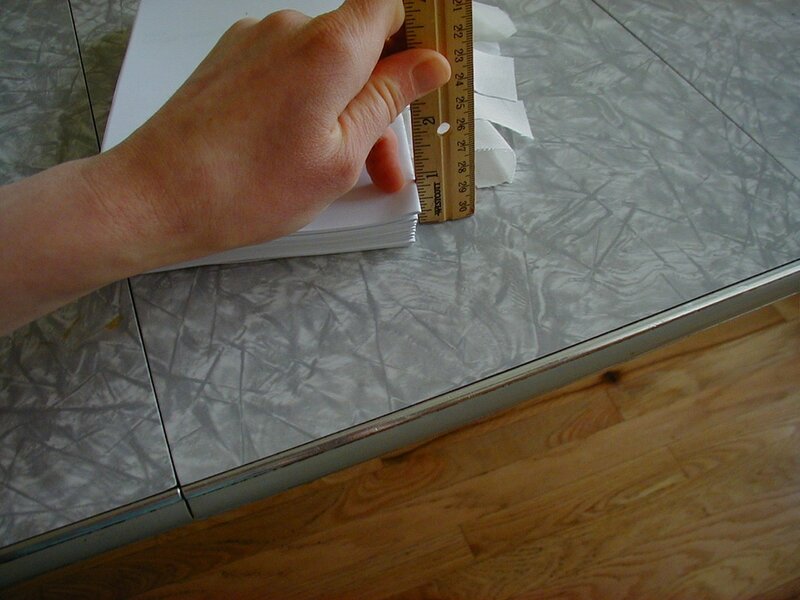 Coverboard is basically acid-free, extremely thick tagboard made specifically for bookbinding. Cut the cloth into rectangles. 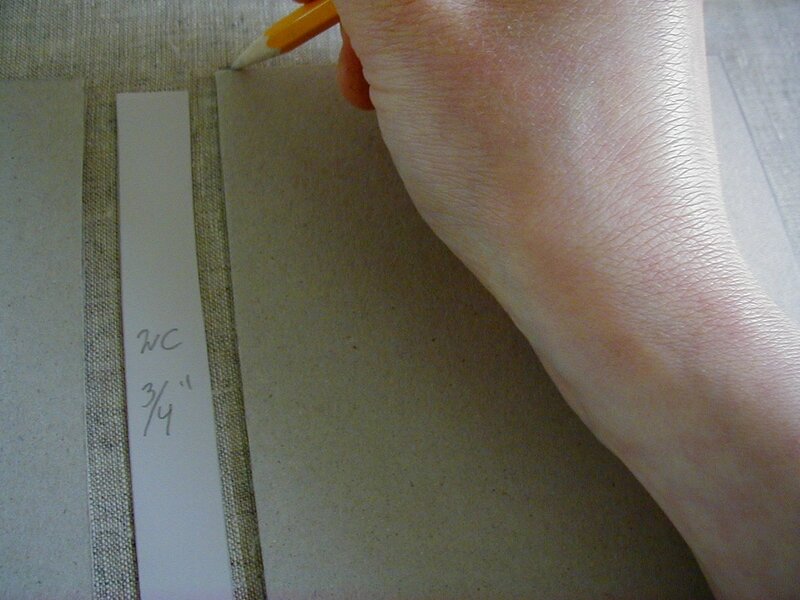 Arrange two coverboard rectangles and the spine strip on the cloth. 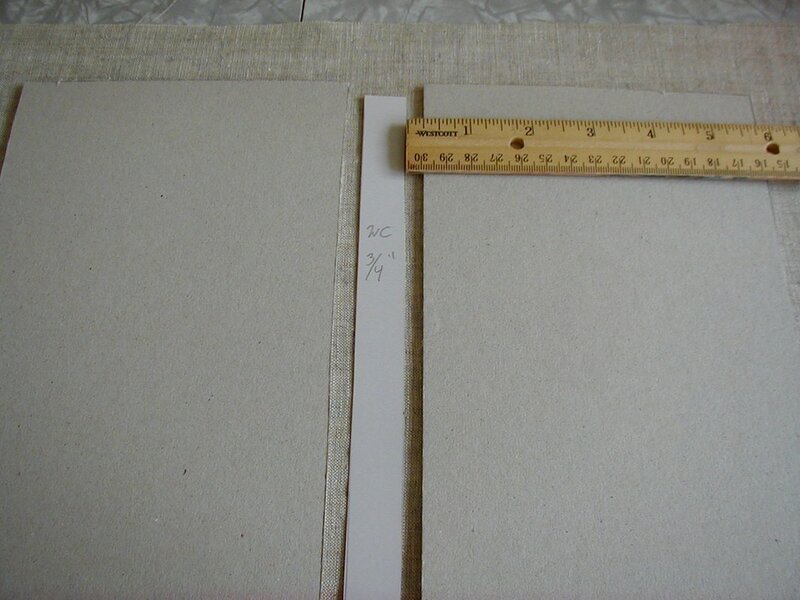 Leave about 1/4" between the cover boards and the spine strip. Trace around them. Apply glue to the coverboards. 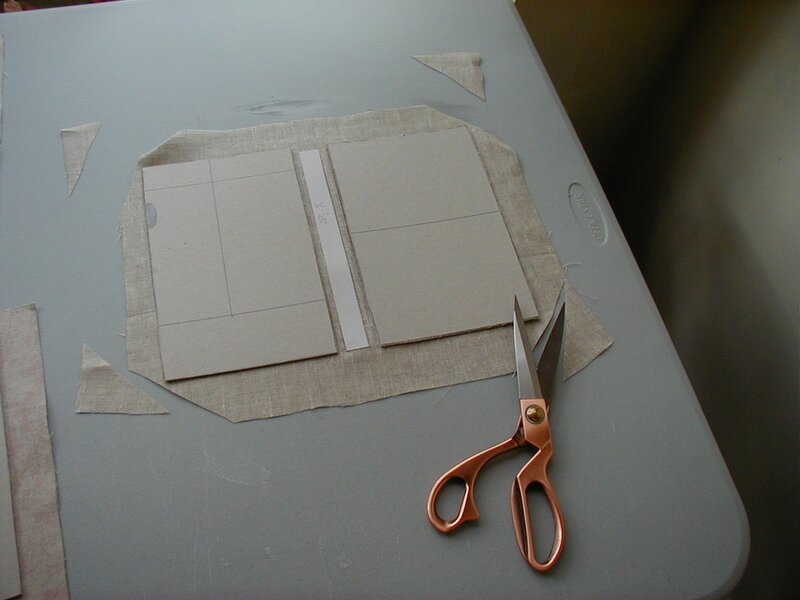 Attach the coverboards to the cloth. Glue down sides of cloth. Get glue all over hands. Be glad you're wearing an apron. Wait for the case to dry. Wish there were some faster way to do this. 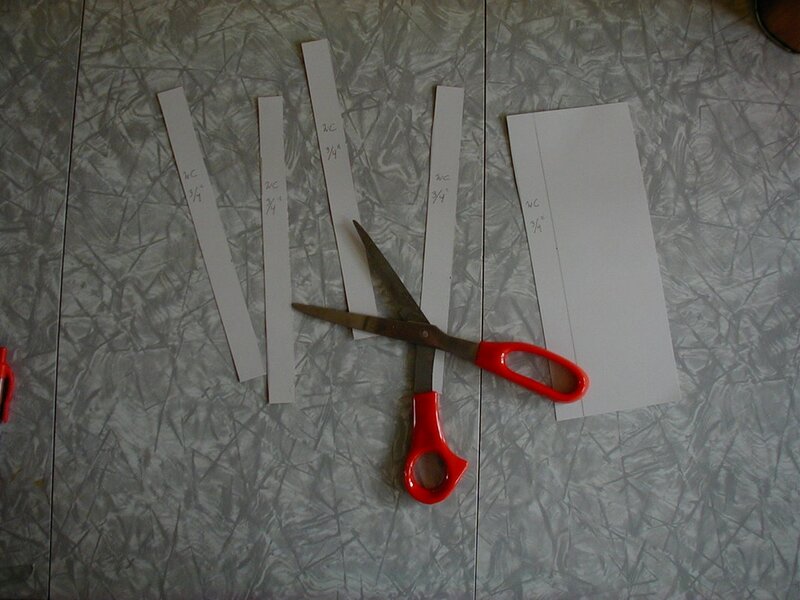 ​Cut strips of cloth to make endtapes. Run endtapes through a tapestry needle. 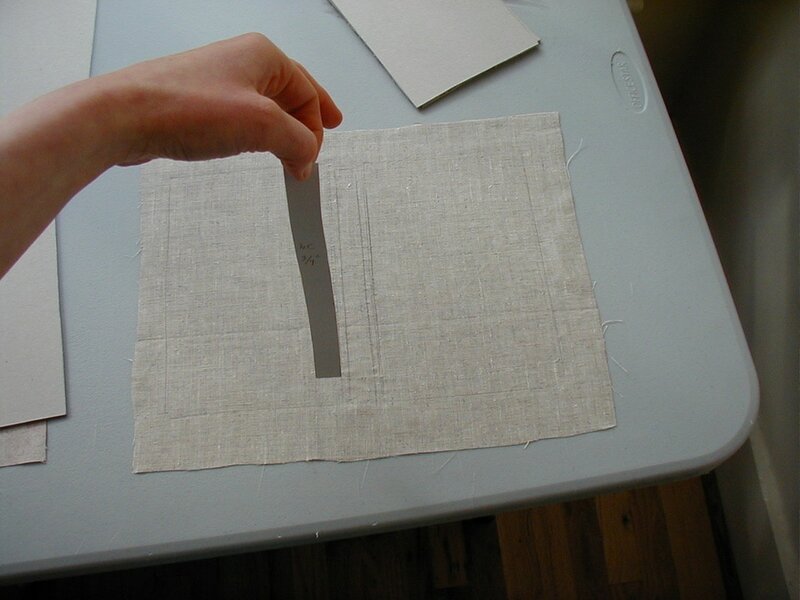 Use a bamboo skewer to hold the linen bookbinding thread out of the way while endtapes are inserted under stitches on spine of textblock. 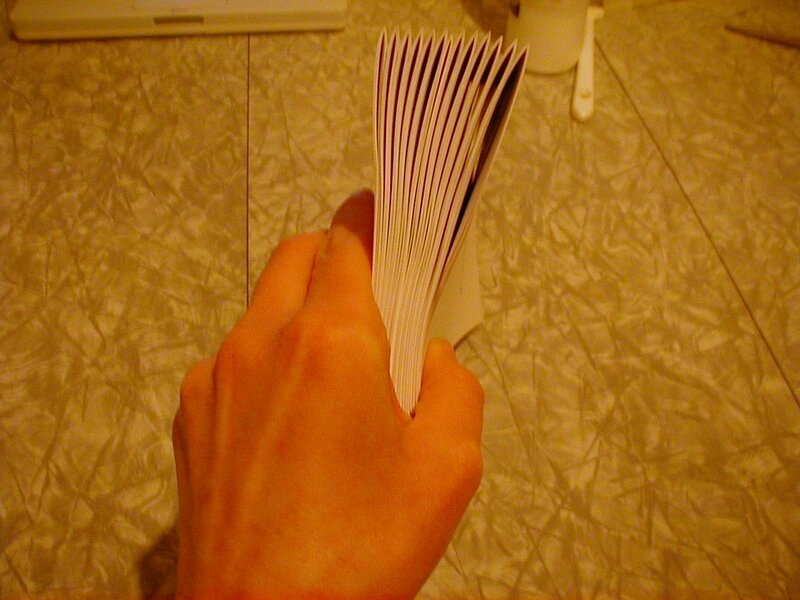 Select two sheets of nice, acid-free paper. (These are called "endpapers".) 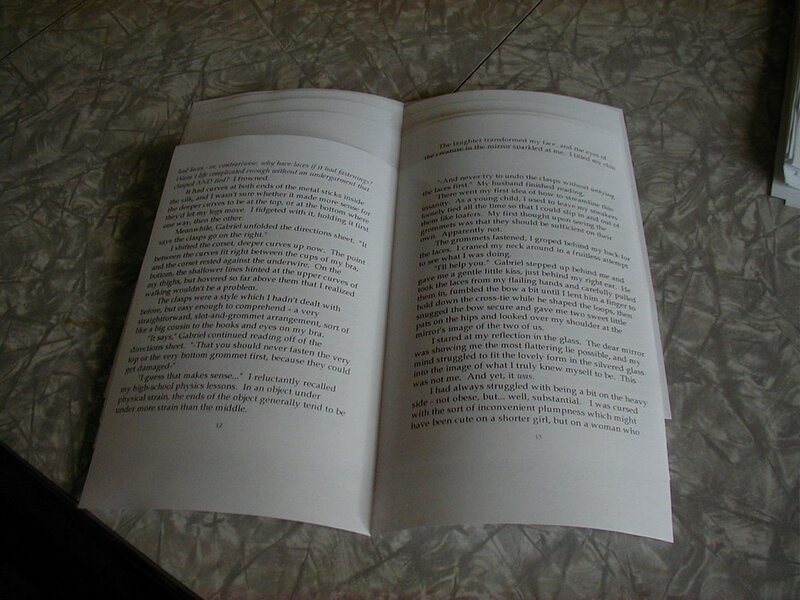 Fold each endpaper in half. 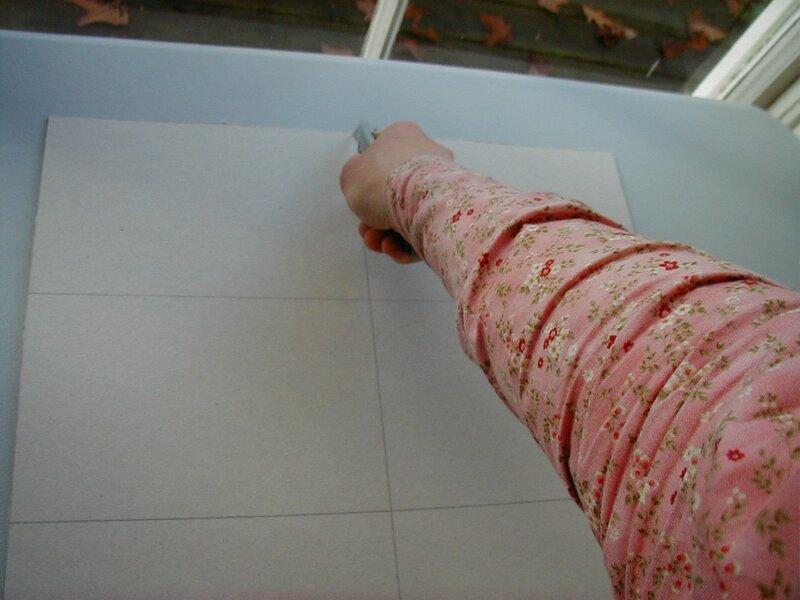 Crease folds in endpapers using a bone folder. 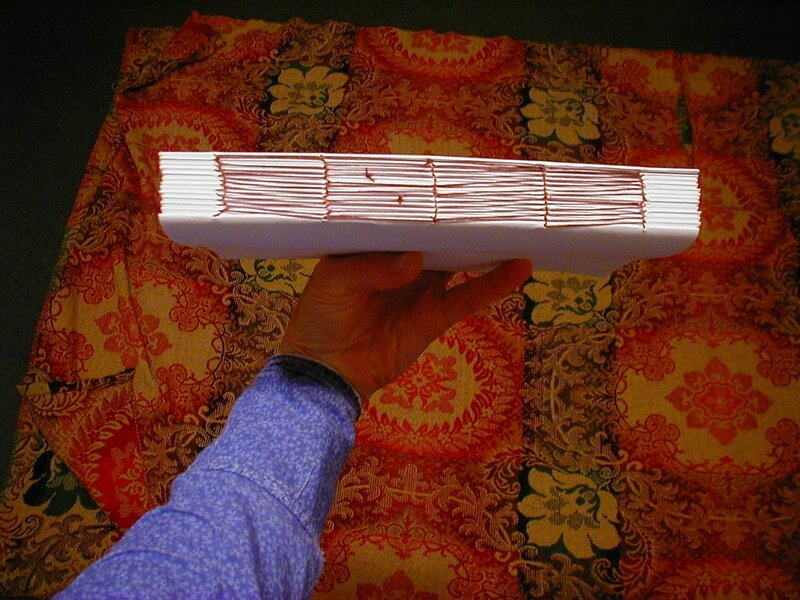 Line up endpapers, exposing the 1/8th inch of the endpapers closest to the folds. Apply glue to this area. 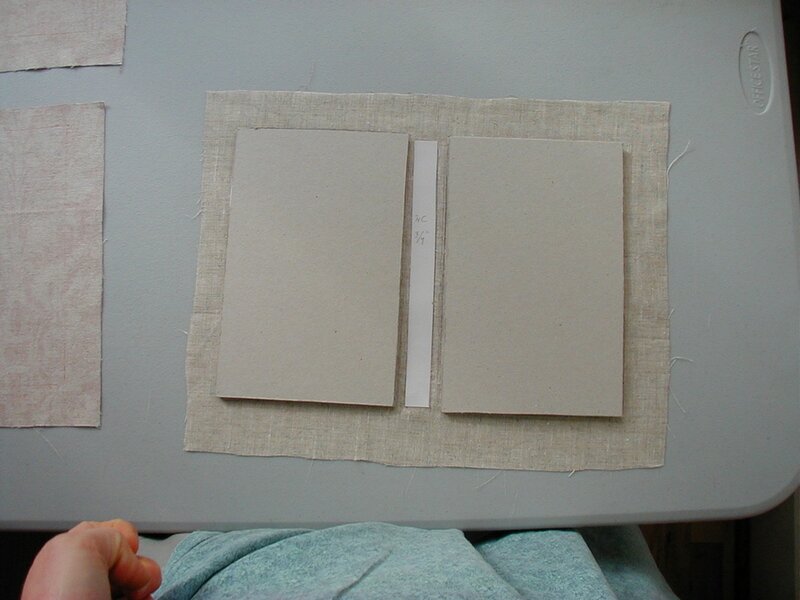 Attach the endpapers into the front and back of the textblock. 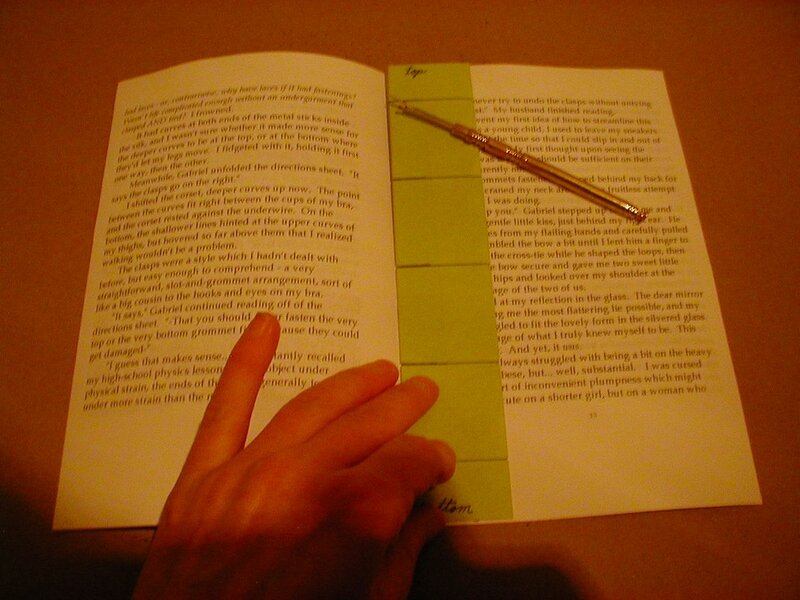 Arrange the text-block spine-down on the case, with the pages standing up at a 90 degree angle from the case. 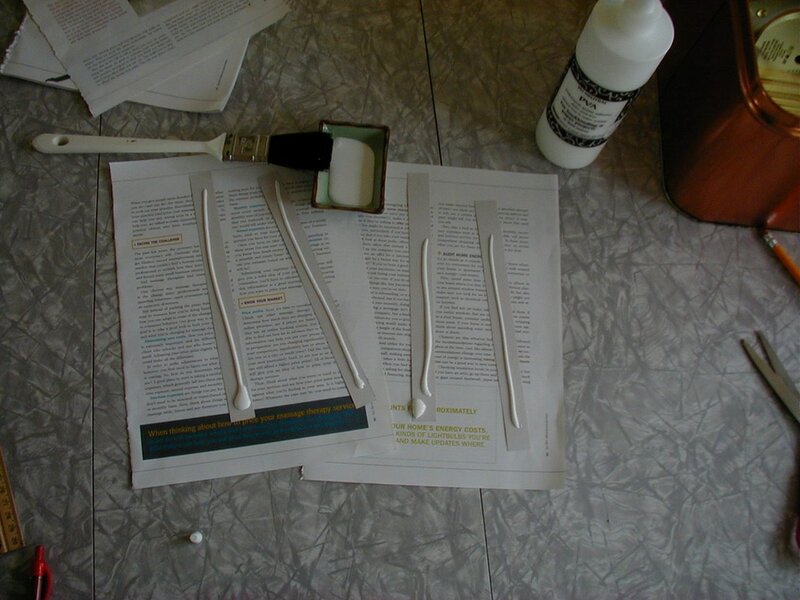 Glue the end tapes to the case. Cover the endtapes with waxed paper. 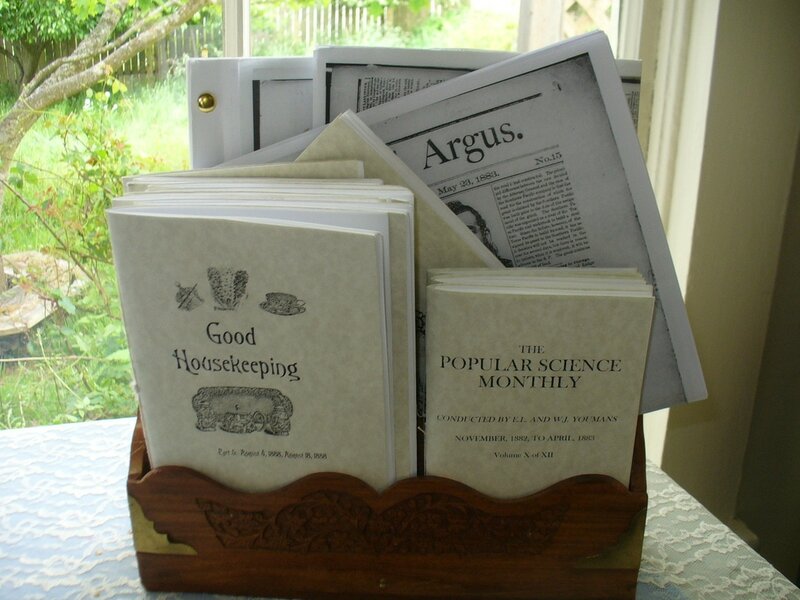 Prop the whole arrangement in place with heavy dictionaries. Wait for the glue to dry. When the glue is dry on the endtapes, apply glue to the side of each endpaper closest to the case and fold them down against the case, thus hiding the ugly coverboard. Put waxed paper over endpapers. Weigh down with heavy dictionaries or other books until dry. 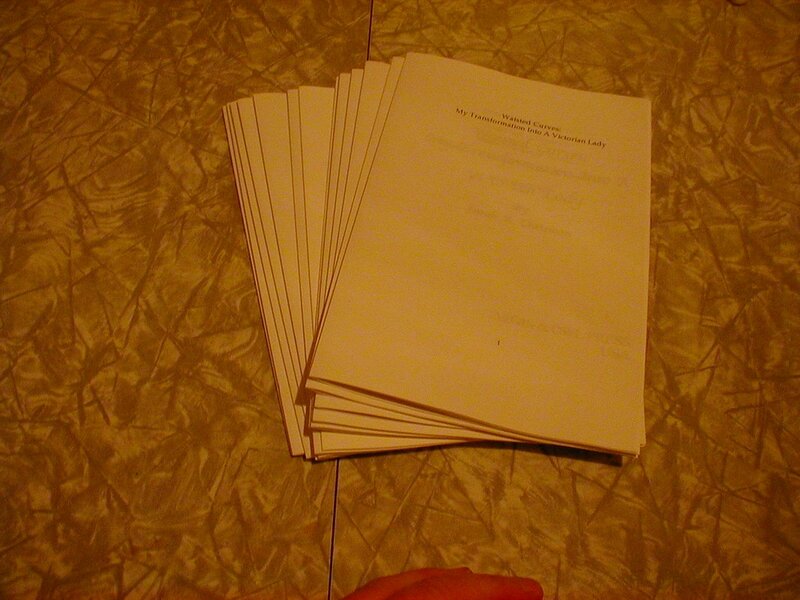 The book is now complete!